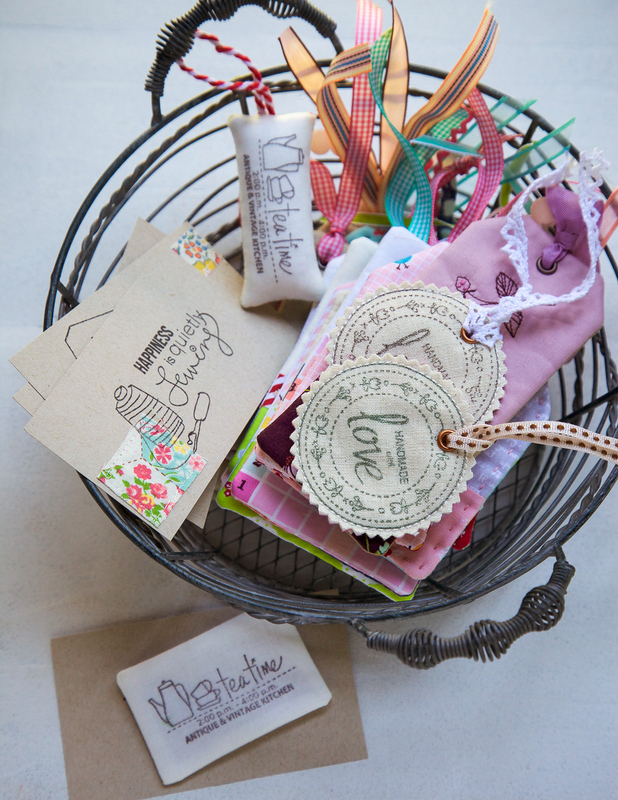 Nothing says “I Love You!” like a handmade Valentine’s Day gift. We’re sharing some of our favorite tutorials to make gifts for loved ones, from heart themes to personalizing a quick gift with novelty fabrics, and a few tips for how to add an extra special touch to your project. 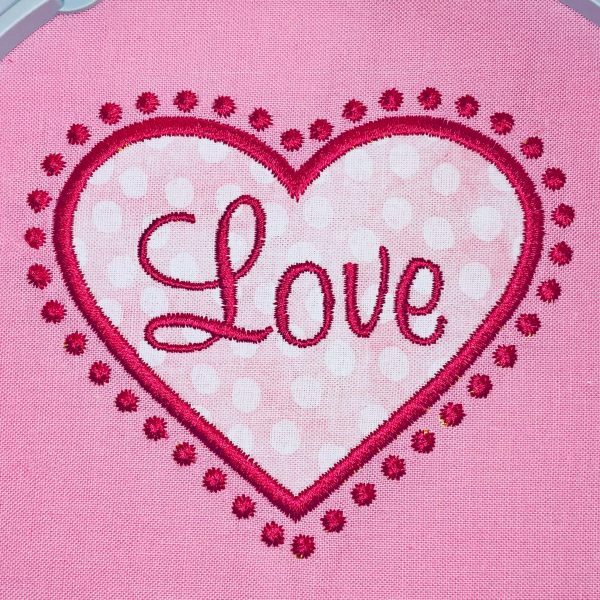 Add a little love note to any project with this free embroidery design along with a quick lesson in how to remove extra jump stitches with the BERNINA 700. Find the downloadable design in the No More Jump Stitches tip post at WeAllSew. 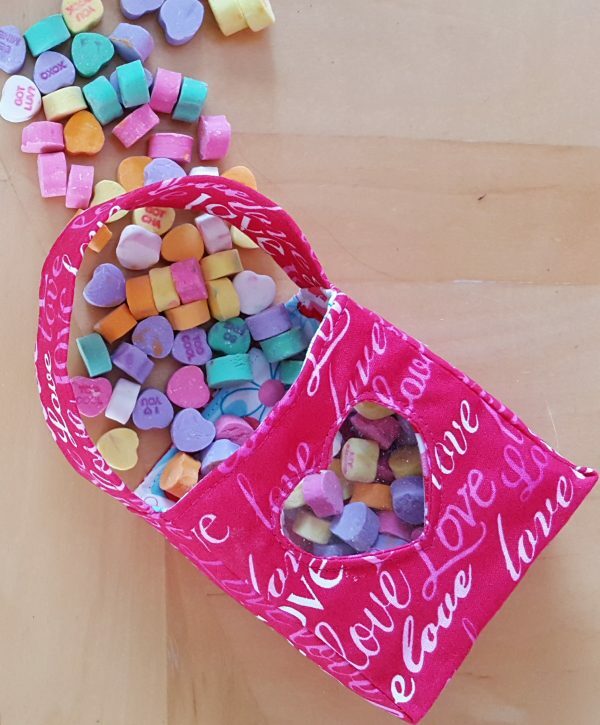 This little heart shaped zip pouch is perfect for adding little surprises—candy, sparkles or cash. Click here to find the Heart Shaped Purse video tutorial. 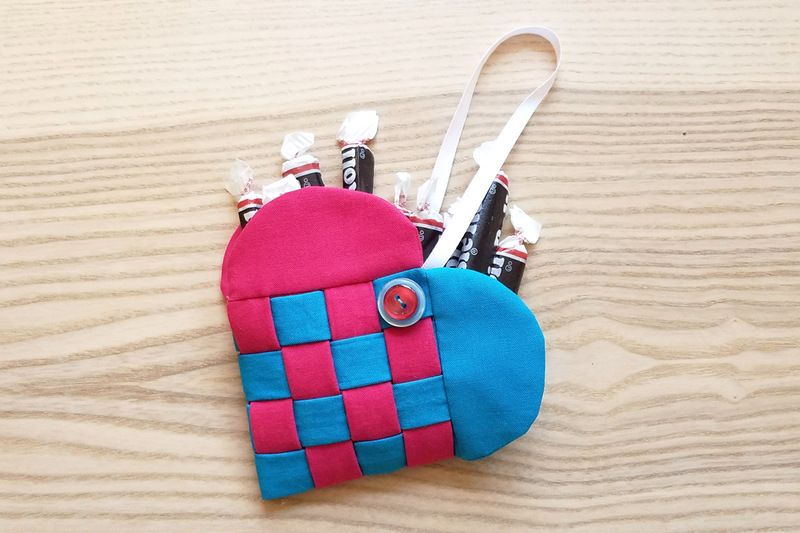 Make a sweet treat bag complete with a heart shaped window with the Valentine’s Treat Bag tutorial right here at WeAllSew. Use a combination of appliqué and decorative stitches in your sewing machine to create Valentine’s Day tea towels. 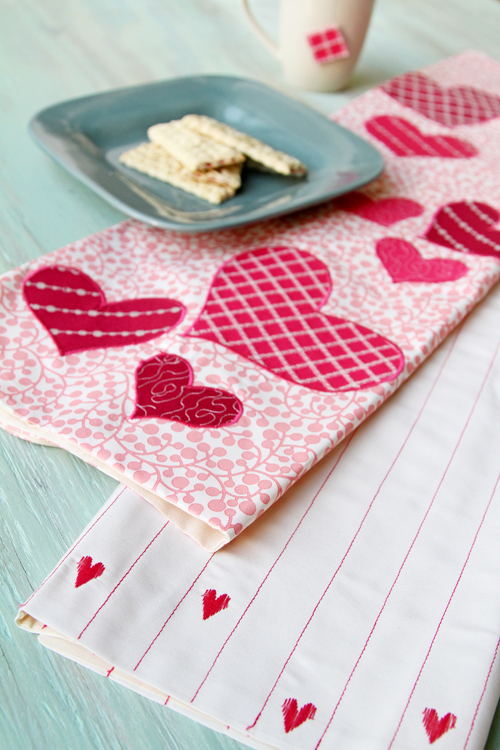 Click here to learn how to make “Be My Valentine” towels. Fill these hearts with treats, small gifts or simply hang them as pretty Valentine’s Day decorations. Choose favorite fabric colors, such as red and white, or pink or maybe all red! Learn how to make Holiday Hearts with this tutorial. 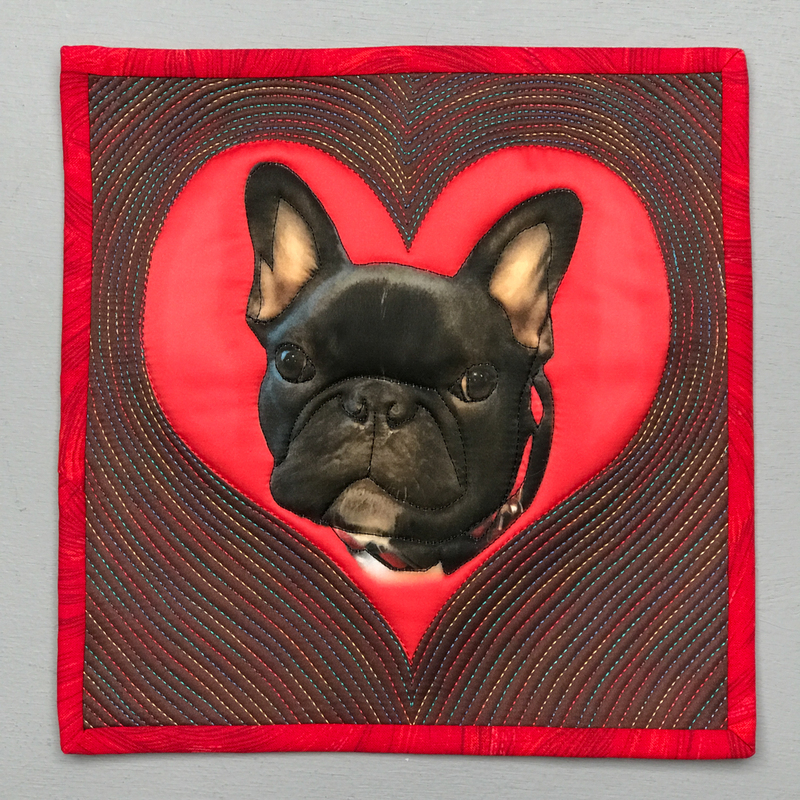 Personalize a mini quilt with a printed portrait! 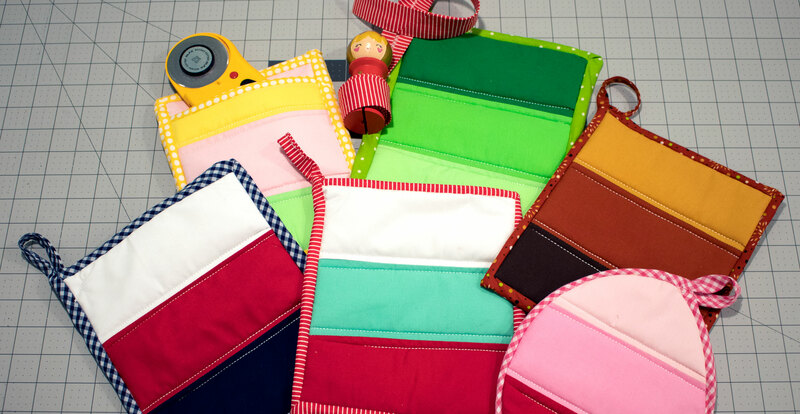 In this tutorial, the mini quilt finds a new use as a pocket on a tote bag. Find out how you can create a special personalized portrait mini quilt with the Photo Quilt Block tutorial here. 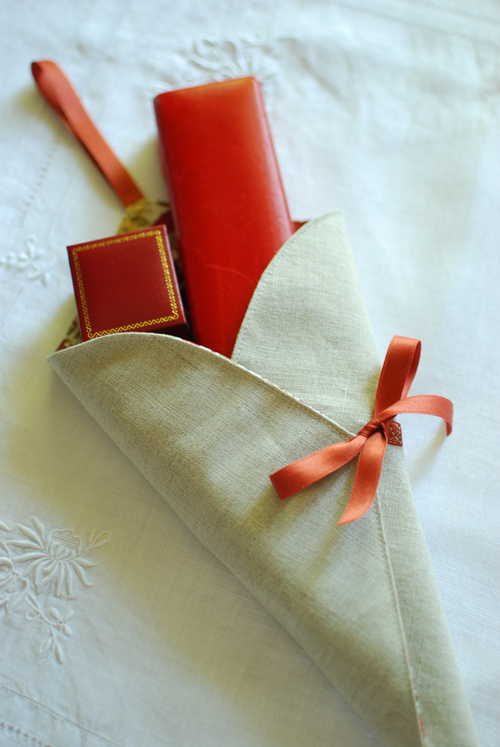 Such a simple way to present a gift in a re-usable way! This easy-to-sew fabric gift wrap includes a pretty ribbon tie and loop for hanging. Click here to find the Fabric Gifting Cone pattern and tutorial. Kitchen hot pads are so quick to stitch together and make great gifts! Use heart print fabrics or reds and whites to create a Valentine’s inspired gift. Learn how to create the Holiday Color Block Hot Pads here. 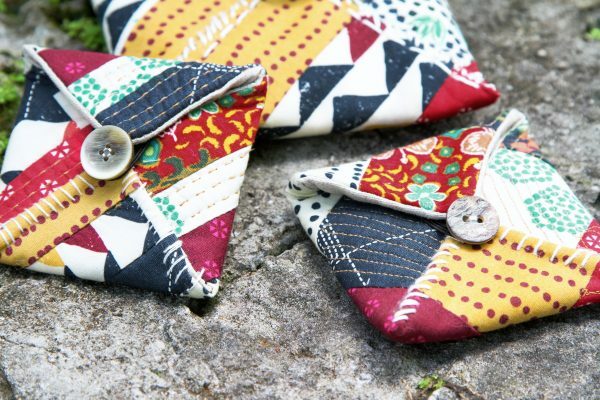 These little envelope pouches are adorable, sized perfectly for gifting small treasures and, with a few red scraps from your stash, they will make the perfect Valentine’s Day gift. Click here to find the Little Envelope Pouch tutorial. 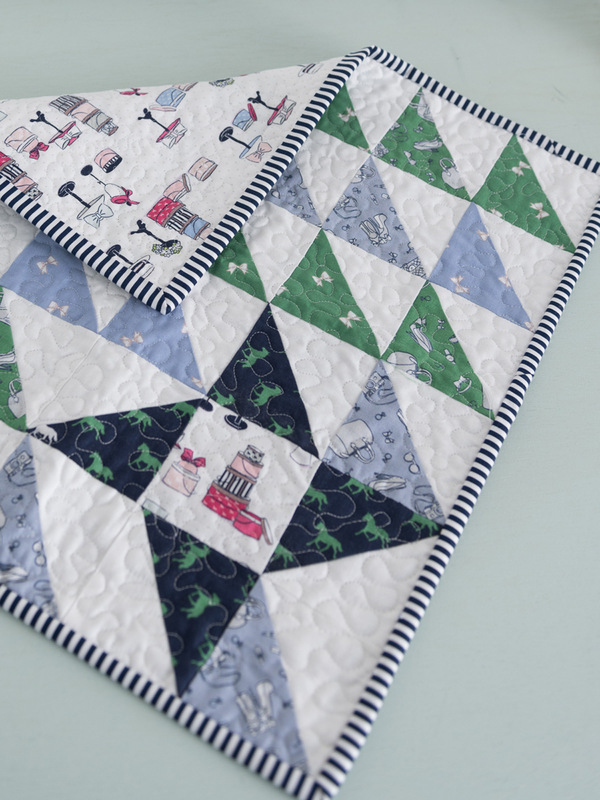 With so many uses from wall art to table topper or dresser scarf, the mini quilt is a great gift! Use your favorite heart-print fabrics with red and white solids to make a Valentine’s Day themed mini quilt as a gift. Learn how to create this super cute Turning Triangles Mini-Quilt right here. Make one-of-a-kind gift tags, bookmarks or cards with this fun technique combining rubber stamps and bits of fabric and trim. Learn how to use Stamp Sets in Sewing with this tutorial. 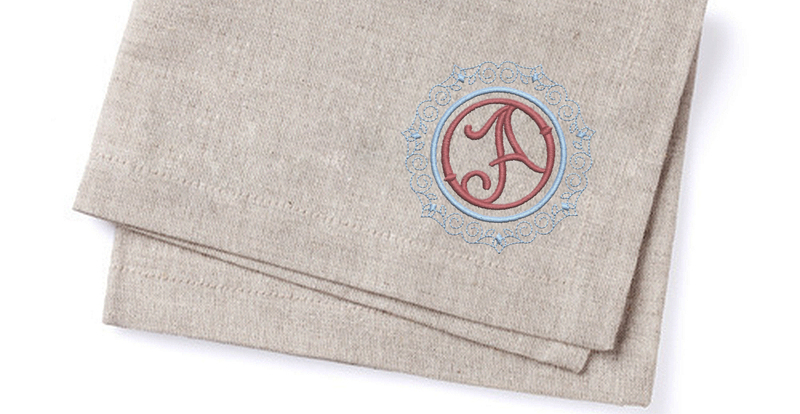 Adding a single letter monogram with machine embroidery is a really special, personal touch to any handmade gift. Find out how easy it is to create a really fun One-Letter Monogram with this embroidery software tutorial. You can use this easy technique to draw with thread on your sewing machine, creating inspiring words or appliqué pictures with colorful scraps. 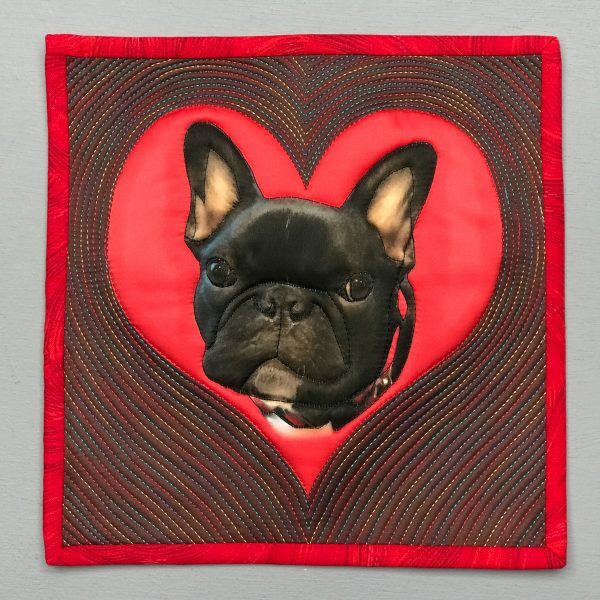 Create a special Valentine’s Day card with this technique, a decorative pillow or mini quilt. 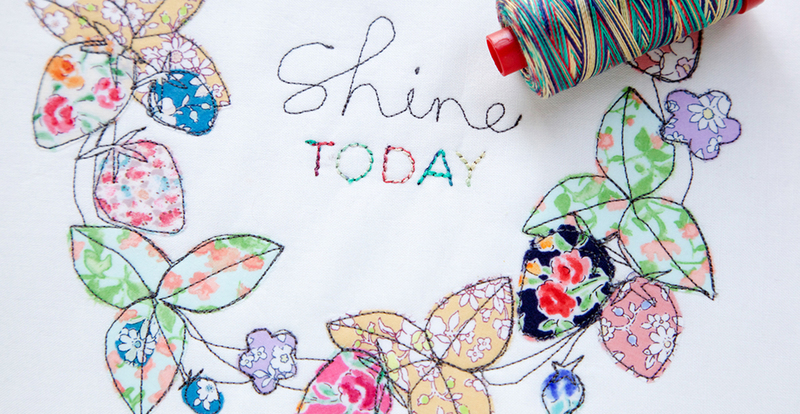 See a video demonstration of Embellishing with Free-Motion and Appliqué here.